Okay! Musume Time: What in the Fiddlesticks...? Country Girls Obtain New Members! What in the Fiddlesticks...? Country Girls Obtain New Members! Note: This is pretty much a post written straight after hearing this news, meaning that it contains all thoughts I had during this point in time. I apologise if the structure is mucked up, however if you find what is written here annoying, I will not apologise, because whilst my opinion may be annoying, it's not yours to change. Ta, duck. 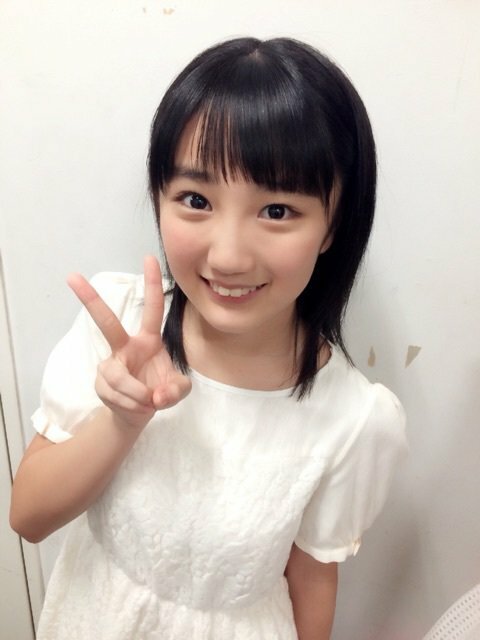 After the sudden graduation announcement of Sayashi Riho from Morning Musume '15, I admit that I did not expect Hello! Pro to come out with anything else announcement-wise, or at least, anything that would be surprising or even unneeded. Then again, this is Hello! Project we're talking about! They like surprising us, especially with the unnecessary. It was announced mere hours ago that, for some reason, Country Girls now have two brand new members plucked from the Kenshuusei nest! Meet Funaki Musubu and Yanagawa Nanami, both 13 years of age and ready to bring some life and cheer to the clearly lifeless and stagnant 5nin Country Girls. If y'all haven't noticed, I'm dripping with sarcasm right now, and that's probably because I'm not really that enthralled by this new piece of news. Seriously, why and how did this come about? I mean, it wasn't like UFP or H!P were hinting at these girls debuting, let alone giving us any inkling as to whether or not Country Girls as a whole would change. I mean, I thought they were doing fine as 5nin, unless this is some weird plan to change the roster with every single release? Who knows, that may be the aim for CG at this point. Either way, this news is pretty sudden, and it definitely raised eyebrows, at least, it did mine. That said, I am not saying that this is a bad thing, I'm just saying that it's not what I, maybe others too, expected to happen, especially not so close to Nyon's graduation or so soon after Riho's recent graduation announcement. Then again, UFP are the type to try and throw a good thing one way when a bad thing happens another way. Well, regardless, this isn't a bad thing, per say! I'm pretty sure this news has made a lot of the fans happy, especially those who follow the Kenshuusei programme and wish for their girls to debut soon, and yeah, I am happy that these girls have debuted! It's just that I kinda wish UFP or H!P would notify a 'surprise' during the next concert, at least, because then we can be prepared before we're thrown a surprise bone of sorts. No matter what though, this is a decision that seems to have made a lot of fans rather pleased, and one decision that I hope turns out good for H!P and Country Girls as a whole. For myself however, I'm still surprised and taken aback by it, but I guess I'll get used to the idea of 7-nin Country Girls once the next single rolls around. ... And now, for the conspiracy theories that Momoko is leaving! Which wouldn't be surprising really, cause, like, she's old! Plus her contract'll run out eventually, right~? Anyway, that's all I have to say for now on this topic. If I have time, I may even write a follow-up post, who knows? Doubtful, yet possible. Until next time however, please take care, love Idols and stay healthy and happy!